If something can't be measured, it can't be meaningfully integrated into a design. That is why we create a sophisticated energy model from the start of the design. The model gives us real numbers that allow us to optimize the performance of the building during conceptual design, which results in the lowest possible energy demand and brings the building owner massive savings compared with a conventional design process. We are the only firm in Utah that has completed Certified Passive House projects, and have done this consistently on budget an on schedule. We have two Certified Passive House Consultants on staff and deliver cost-effective innovative buildings. The Passive House Standard is the highest level of energy efficiency that a building can achieve. Higher than LEED platinum and much higher than Energystar. The Passive House Institute U.S. is an independent, not for profit third party organization that oversees the rigorous certification process. When combined with our attention to aesthetic and detail, the resulting building can be a truly spectacular place to live and work. Click this for more detail on Passive House design. Although not a house that will be certified, Passive House principles were used in the design, including heat recovery ventilation, super insulation and high performing windows. With the addition of the solar array, this house will achieve Net Zero electricity use! 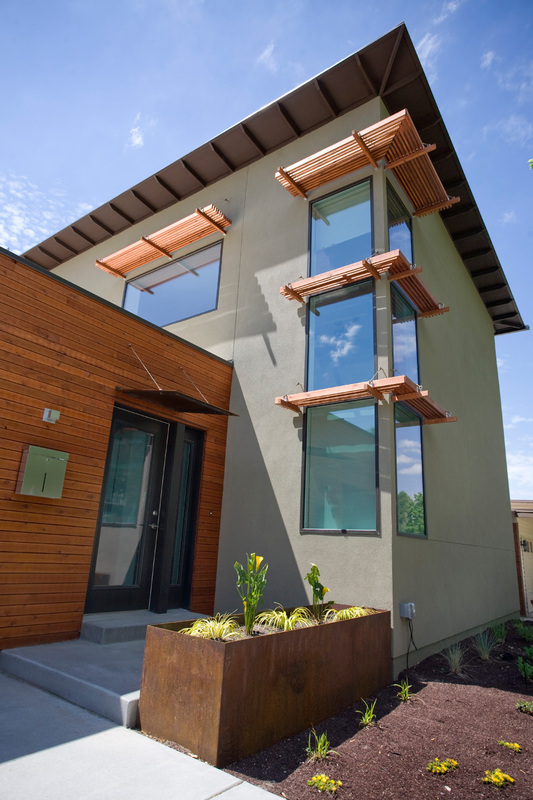 Utah's first certified Passive House project was designed and built in 2009. The home has since then performed very nicely and the owner's love it! Certified in 2013, this house is located in the Avenues neighborhood of Salt Lake. Integrating with the surrounding context was key to this project. This house is also a Net Zero energy house! Because of the low operating cost, Passive House is ideal for affordable housing. Emery was designed for SLC's division of Housing and Neighborhood Development. Completed in 2016. Brach Design was the Certified Passive House Consultant on this Passive House design by T&T Mountain Builders. Certified in 2015. This project has been Pre-Certified with the Passive House Institute and is currently under construction. Also planned to become a Net Zero energy house. This project has been Pre-Certified with the Passive House Institute and is currently under construction. Click here to view a list of all Certified Passive projects.